Having an ample knowledge of not only fabrics but also the different weaves is a most important factor in choosing the best bed sheets and other bed linens that perfectly suits the individual needs and requirements. Understanding the weaves is not a complicated thing rather it helps to choose the best bedding items whether that’s warm or lightweight sheets or duvet, throw pillow or sham etc. Here, we give you a complete overview of the different types of weaves that are most common. Before going into the detail of different weaves, it’s important to know what actually the meaning of weaving is. Weaving is the technique that is used in the production of textiles or fabrics or hand-made clothes. In this technique, the two distinct strands of yarns or threads are interlaced at right angles to form the cloth or fabric. 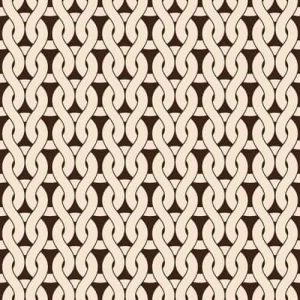 This pattern of interlacing creates a very solid fabric or cloth. Nowadays, most of the textiles are woven by using different machines but the process is the same as the hand-weaving. 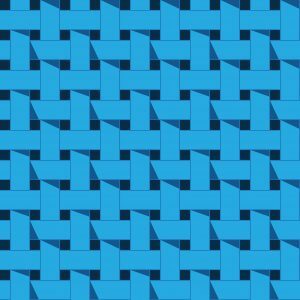 So, what’s exactly the weaving process is? The first step in the process of weaving is the selection of fiber – a long, thin material that has also resilient to some extent – that can be naturally occurring such as cotton or wool or synthetically created such as nylon. In the second step, the multiple fibers are wrapped or twisted on to a cylindrical device to create strands of yarns or threads. After that, these strands of yarns are woven together to produce a fabric. The two separate strands of yarns or threads are interlaced together at the right angles – as we mentioned above – so it means that one strand is horizontal and the other is vertical. The horizontal strand is called “weft”. The vertical strand is called “warp”. 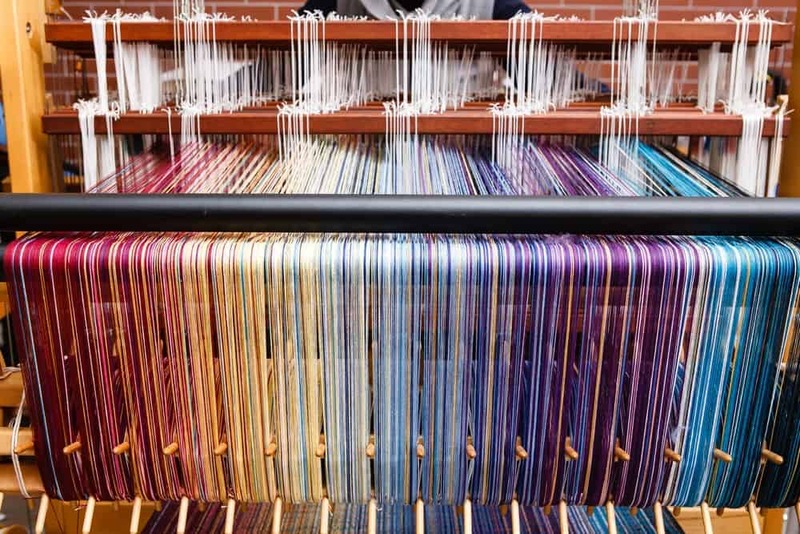 The weft and warp are interlaced by using a device called “loom”. In the process of weaving, the warp is attached to the loom that holds it very tightly so that the weft can easily be interwoven. The way or pattern in which the weft and warp are interlaced is called “the weave of that fabric”. There are different patterns of interlacing the strands; therefore there are different types of weaves. 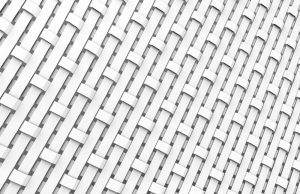 The method of interlacing these threads defines the characteristics of the fabric. What are the types of weaves? There are also other types of weaves that are obtained with different variations of the basic weaves. 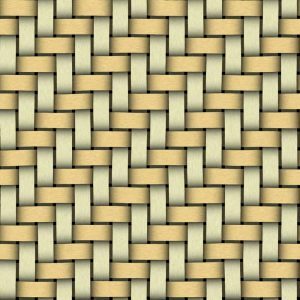 In this type of weave, each weft strand passed alternatively above and below the warp strand in a pattern of the square. The fabric is easily produced with this weave and it is durable, inexpensive, and adaptable to dying, and finishing. In this type of basic weave, the weft or warp passes two or more of the counterpart strands either in right or left direction progressively. As a result, diagonal lines have produced that run at the angles varying between 15 and 75 degrees. That’s why the bed sheets woven in twill weave has the appearance of diagonal lines on their surface. Twill bed sheets are durable, strong, flexible, and lustrous and drape easily. In this type of weave, several warp yarns float over 4 or more weft yarns and then go under 1 weft yarn. A satin weave is a warp-faced technique in which warp threads are predominant. Due to this weaving technique, the front surface of a satin fabric is smooth, silky and lustrous. The fibers used in satin are nylon, acetate or polyester that gives it a smooth, silky finish. When shopping for satin bed sheets, look for woven materials instead of knitted to get the perfect smoothness from the weave. In this weave, several weft yarns float over 4 or more warp yarns and then go under 1 warp yarn. It is a weft-faced technique in which weft threads are predominant. A sateen weave produces a very smooth and soft bed sheet that has a lustrous finish resembling the satin. The bed sheets of sateen are more luxurious and have an attractive shine with a silky feel. As these are heavier so they work best for the people who want to get warmer atmosphere during cold nights. What’s the difference between a satin weave and sateen weave? 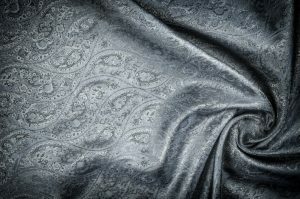 The difference between satin and sateen is that a satin weave is predominantly warp-faced technique while a sateen weave is a predominantly weft-faced technique. Flannel bed sheets are constructed with plain or twill weave and this makes them softer and more flexible than other types of weaves. Flannel is made of 100% cotton and is considered medium-to-heavy weight material for bed sheets. Flannel has a napped finish (raised fibers on a fabric) either on one side or both sides that creates a fuzzy or velvety or fluffy soft feel. Flannel bed sheets are best for winters because the fuzzy weave holds the body heat and gives a warm effect. It is one of the most common weaves of bed sheets. Percale is a plain weave made from combed cotton yarns that are woven closely, thus giving the fabric a crisp feel and smooth finish. 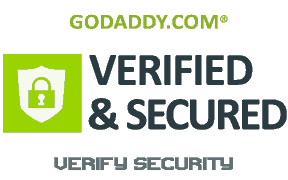 It is lightweight and best for those who like to feel bed sheets crispy against their skin. 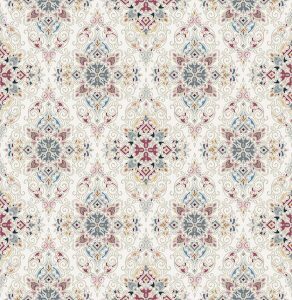 It is made of cotton or cotton blends fibers and finely knitted instead of woven. In a knit fabric, one single continuous yarn is looped repeatedly that creates a braided look. Jersey bed sheets are stretchy, elastic in appearance and give a softer feel. Jersey knit is the best material for cold nights as it holds in heat. But it also snags or rips easily. This is a tight weave made from synthetic fibers that are spun into fine yarn and this creates a very soft finish and also makes the fabric wrinkle-resistant. Microfiber bed sheets are also water resistant and allergy proof because of the tight and thick weave. These woven bed sheets are constructed with a pattern weave that has a design visible on both sides of the sheet. There are two common types of patterned weave: damask and brocade. Both of these types are intricately detailed and found mostly on decorative pillows or other decorative bed linens. They also have a vintage look and luxurious and so can be expensive. This type of weave has a decorative pattern or design of small geometric shapes (other elements like dots, stripes) or flowers. Dobby is commonly used on decorative bedding pieces such as duvet covers, pillow shams or coverlets. This weave is constructed with any combination of different weaves or patterns. It produces an elegant fabric that is used formally on decorative pillows, pillow shams, coverlets or comforters. 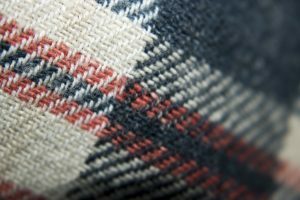 In the weaving process, when two threads are used or plied, the resulting fabric is called two-ply fabrics that are heavy and durable. In the weaving process, when individual threads are used, the resulting fabric is called as singly-ply fabric. This type of fabric is soft and used for decorative bed linens and window treatments. Single-ply fabrics are decorative, not functional. Apart from the fabrics and thread count, weaves are also an important factor to consider while buying bed sheets. With this comprehensive guide to weaves and the different types of bed sheets weaves, now you know about them and so you can easily and quickly determine what kind of bed sheet weaves are ideal for you.